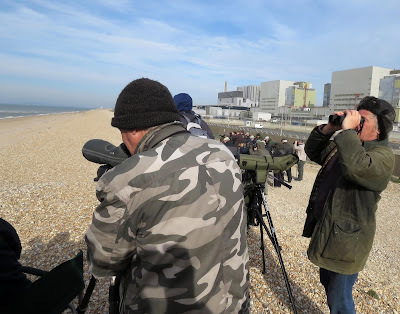 A Turtle Dove was the best bird that could be found on the land although nowadays this could almost count as a major rarity. A Firecrest and a Tree Pipit were also seen. 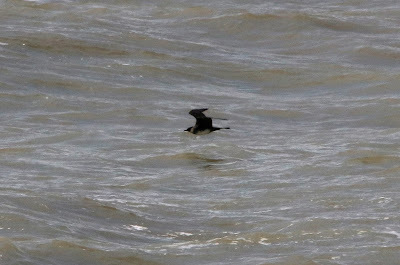 With a fresh south-easterly blowing the shore was the place to be and it didn't disappoint with a superb movement of Pomarine Skuas and lots of back up as well. 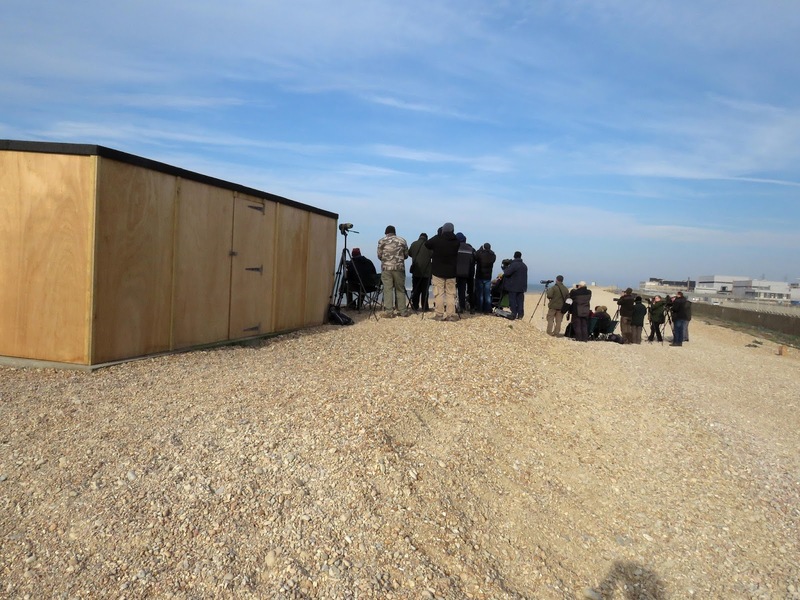 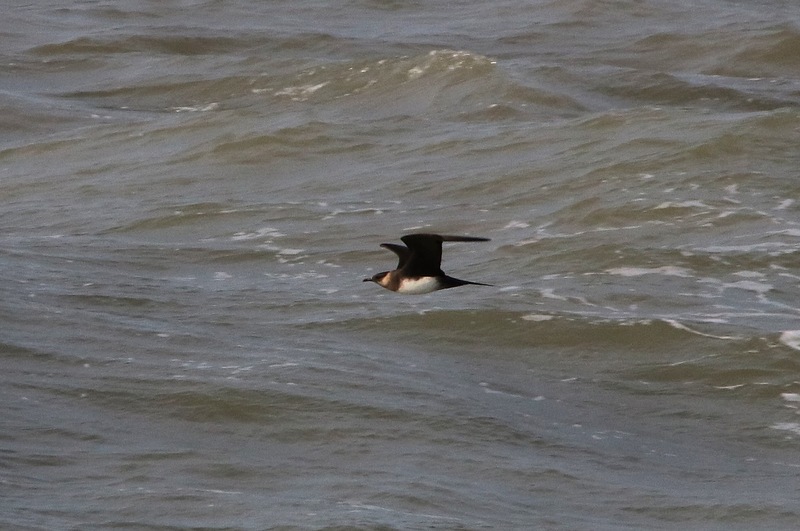 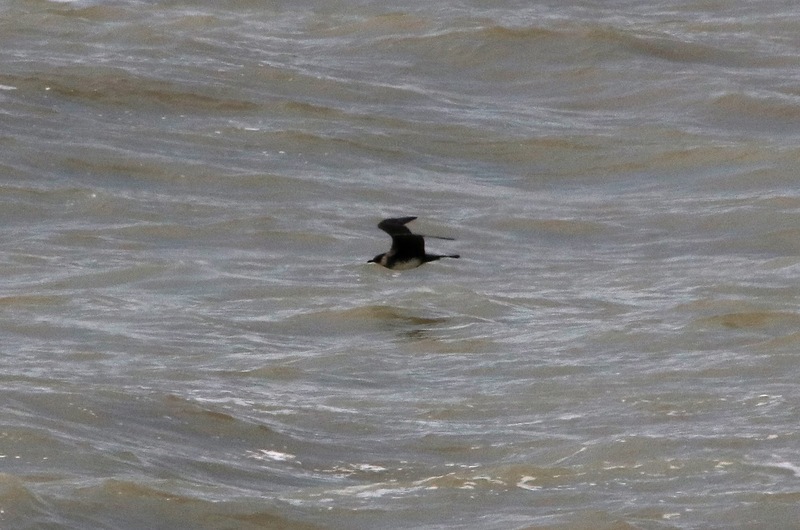 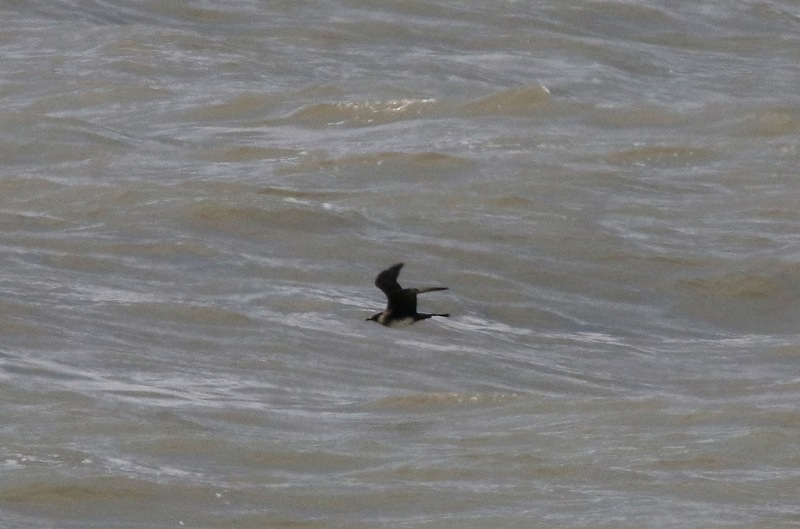 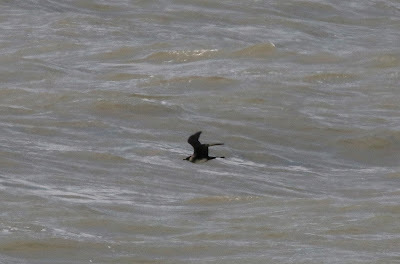 After 13.5hrs of watching the final total for Pomarine Skuas was 129 - the fourth best-ever day total. 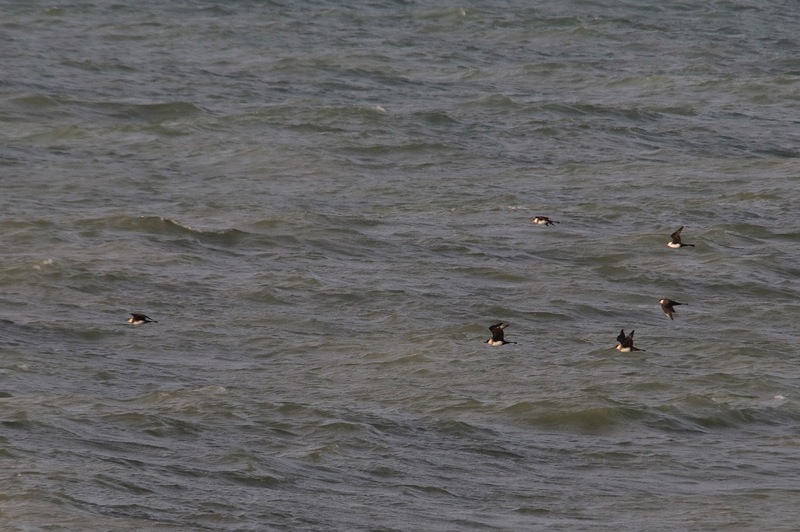 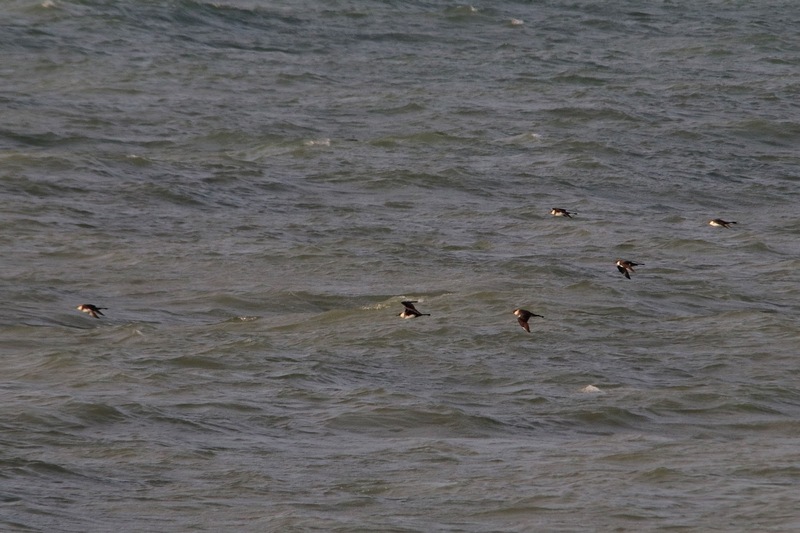 In addition there were plenty of other skuas with 44 Arctic and 19 Great Skuas. 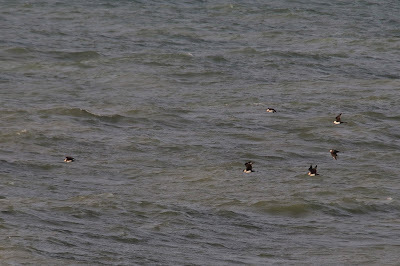 Large numbers of Common Scoters (1284) moved through with 20 Velvet Scoters mixed in with them and other ducks included a Pintail, six Shoveler, ten Gadwall, an Eider and three Red-breasted Mergansers. 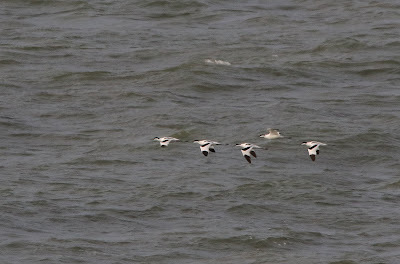 Good numbers of waders also move through wih 151 Grey Plovers, 121 Sanderlings, 76 Knot, 160 Bar-tailed Godwits and 48 Whimbrels and along with 31 Little Gulls. Terns were also a major feature of the watch with 54 Little Terns, 34 Black Terns and large numbers of Sandwich (233) and Common./Arctic Terns(1200). 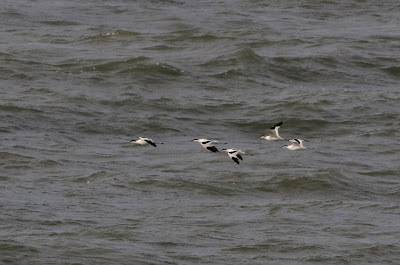 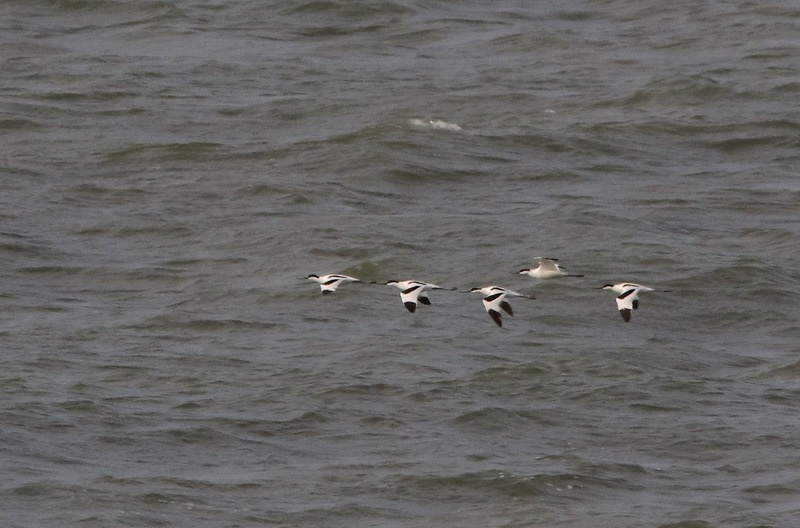 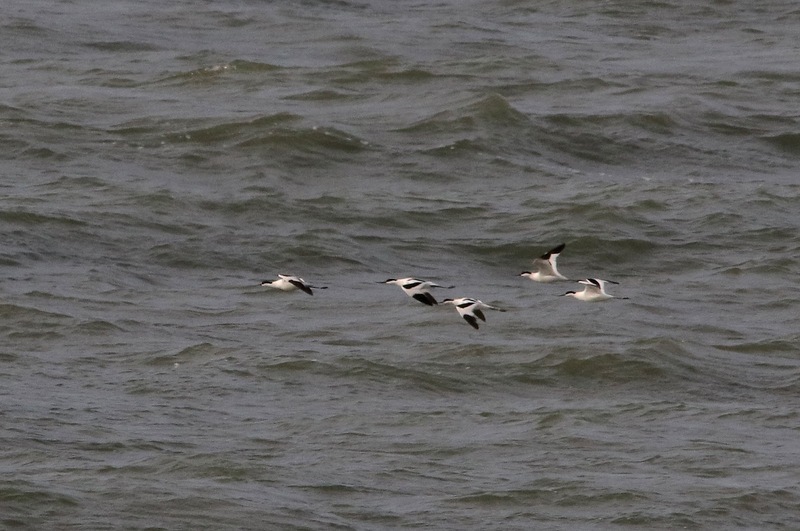 A few other notable bits and pieces seen during included five Black-throated Divers and a flock of five Avocets. 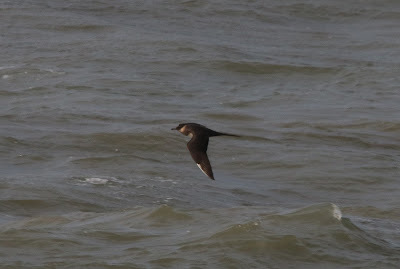 A Peregrine Falcon and a Hobby were also seen offshore. 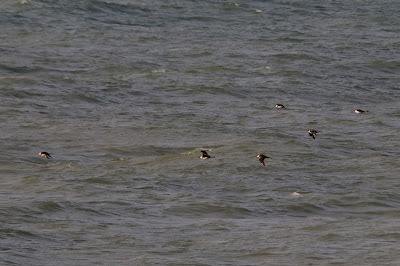 A Brown Hare was seen at the north end of the recording area and singles of Grey and Common Seals and five Porpoises were feeding offshore. 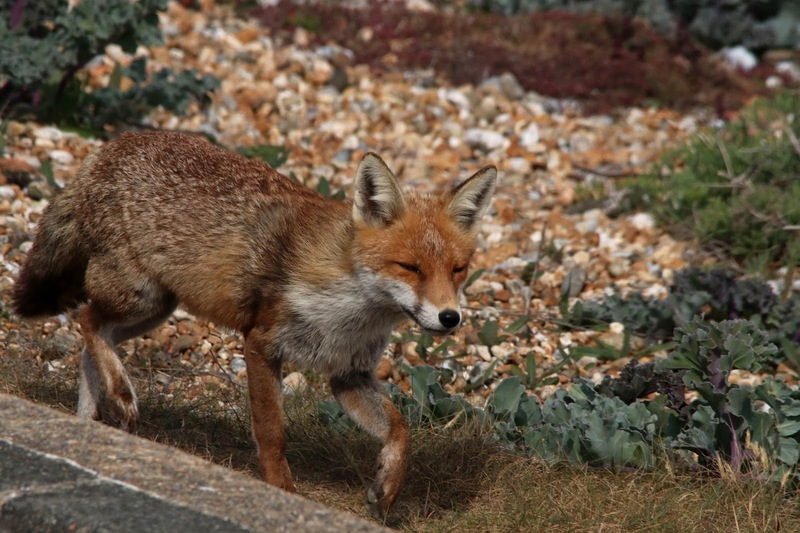 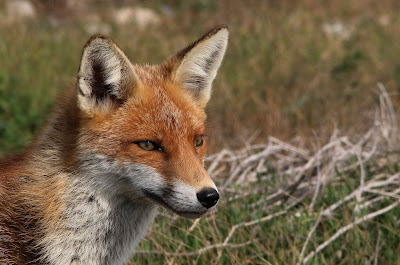 This Fox spent most of the day foraging along thetideline and was even hunting out fisherman for titbits.